Cantus Vocum is honoured to participate in Dion Flores’ Masters Conducting Recital on Tuesday February 7, 2017 – 7:00 pm at D.F. 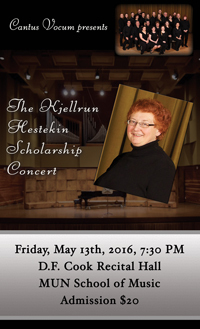 Cook Recital Hall, MUN School of Music. 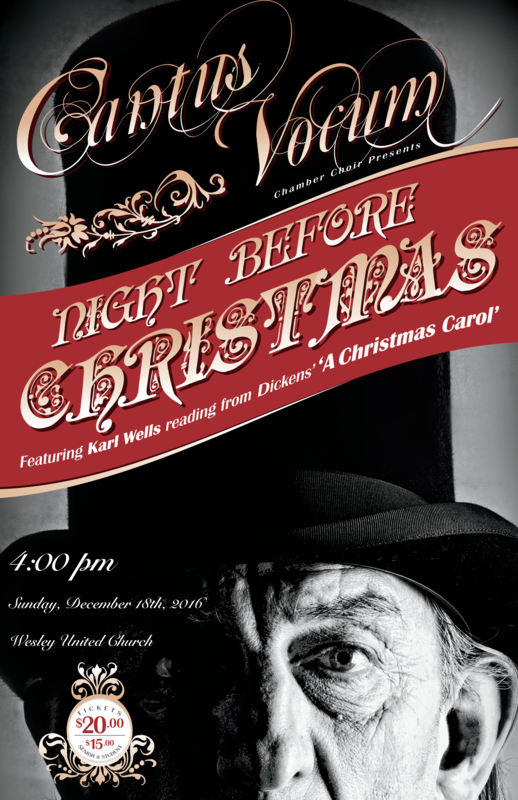 Join us at 4PM on December 18th, at Wesley United Church for our annual Christmas Concert, NIGHT BEFORE CHRISTMAS! 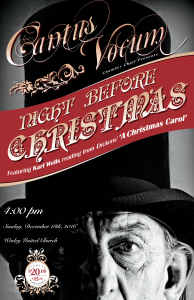 Cantus Vocum will present a selection of Christmas music, and Karl Wells will read from Charles Dickens’ A Christmas Carol. 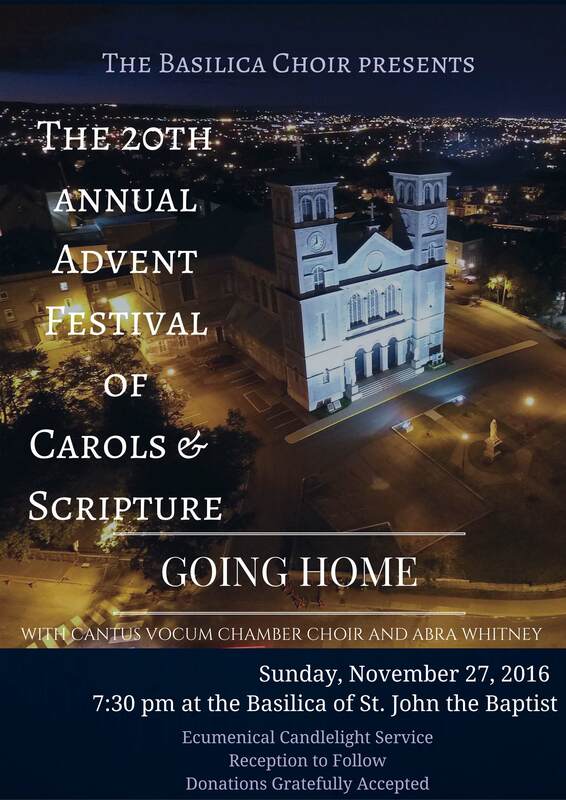 Cantus Vocum is honoured to participate in the 20th Annual Advent Festival of Carols & Scriptures with the Basilica Choir on Sunday November 27th, 2016 – 7:30PM at the Basilica. e welcome you to remember with us. 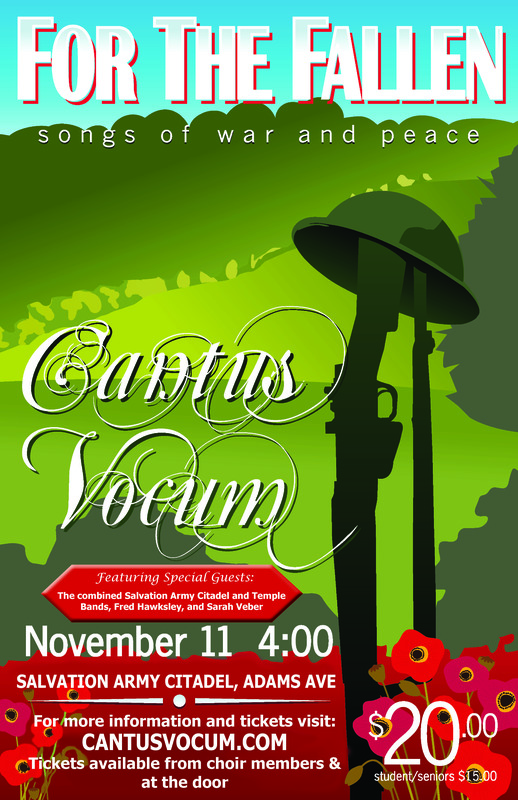 Featuring the combined Salvation Army Citadel and Temple Bands, and special guests Fred Hawksley and Sarah Veber. 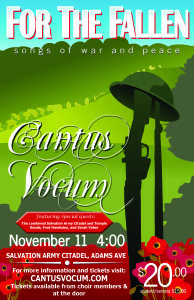 On Wednesday, November 11th, we will be at Salvation Army Citadel at 4:00 PM. 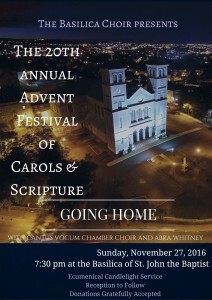 Singing selections from our vast repertoire from spiritual and traditional selections. oin us in remembrance of Kjellrun Hestekin. 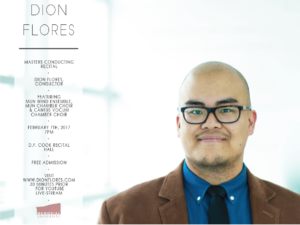 Tickets are available from Choir members and at the door.